OverviewDeath Note: Kira Game is the first game based on the popular anime and manga of the same name. 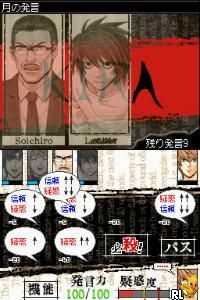 The gameplay revolves around players assuming either the detective role, L, or the Death Note-wielding opposition, Kira, in a round-table game of suspicion and trust. Now you can add videos, screenshots, or other images (cover scans, disc scans, etc.) 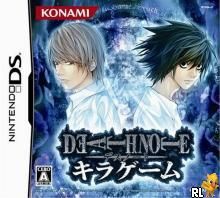 for Death Note - Kira Game (J)(WRG) to Emuparadise. Do it now!